Footings receive the house loads through posts or foundation walls and then transmit these loads to the soil. The type and size of footings should be suitable for the soil conditions, and located far enough below ground level to be protected from frost action. Frost action can also be avoided by providing good drainage around the foundation to direct water away from the building. In some cases, insulation can be used to provide frost protection for shallow foundations. Competent design is normally called for when using this approach. The distance between the footings base and the finished grade should usually be at least the depth of frost penetration. Table 3 shows the minimum depths for several soil conditions. 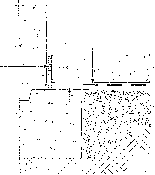 Where fill has been used, the foundation should extend below the fill to undisturbed earth or be designed to suit the condition of the fill. The size of the wall footings should comply with building code requirements. Table 4 presents the size of concrete footings on average stable soil. However, if the distance of the water table from the bearing surface is the same as the width of the footings, the footings sizes listed in Table 4 should be doubled. Unless soil conditions and design allow for sharply cut trenches, side forms should be used for footings. thickness should be no less than the projection beyond the wall. Footings must never be less than 4 in. (100 mm) thick (Fig. 8). If the soil is of low loadbearing capacity, wider reinforced footings may be required. Local building officials are often in a position to provide useful advice on local conditions. A key carved into the top of the footings is a good practice that helps the foundation wall resist the lateral pressures from the earth pushing against it. If the footings excavation is uneven and in places too deep, a compacted granular mat can be used to level the excavation. Excavated material should not be used as a base. Pipe trenches directly under wall footings should be backfilled with concrete. For preserved wood foundations, continuous wood footings are usually more practical and economical than concrete footings. Wood footings and the granular drainage layer act together to distribute loads from the structure to the undisturbed soil. Sizes of interior and exterior footings and construction practices are given in the Canadian Wood Council publication Permanent Wood Foundations. Steel column supported on steel bearing plate resting on footings. Base of column embedded in concrete floor. 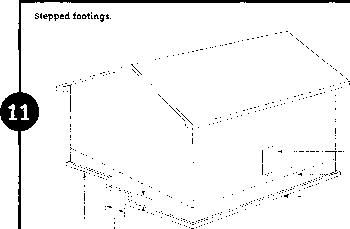 Table 4 provides minimum footing sizes for normal conditions. The thickness of the footing must not be less than the projection and never less than 4" (100 mm). Wood column supported on concrete footings. Polyethylene layer separates wood from concrete. Base of column may be soaked in wood preservative for additional moisture protection. wood column concrete floor dampproofing granular fill layer of polyethylene around wood column thickness projection concrete footing wood column concrete floor dampproofing granular fill layer of polyethylene around wood column thickness projection concrete footing than the column footings pad projection measured from the edge of the column base plate to the edge of the footings pad. Footings for fireplaces and chimneys are usually placed at the same time as other footings. 24" (600 mm) minimum step thickness footing on undisturbed soil of the footing is always placed on undisturbed soil or compacted granular fill with each run level. The vertical connection between footings at the step should be of concrete at least 6 in. 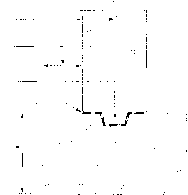 (150 mm) thick and the same width as the footings (Fig. m). On steep slopes, more than one step may be required. Except in rock, the vertical distance between steps should not exceed 24 in. 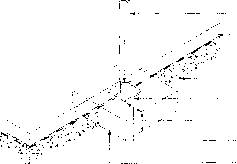 (600 mm), and the horizontal distance between steps should not be less than 24 in. (600 mm). For sand or gravel, a vertical distance between steps of no more than 16 in. (400 mm) is recommended. For very steep slopes, where these limitations cannot be maintained, special footings may be required. The foundation wall carries the floor, wall, roof and other building loads (including snow and occupant loads) down to the footings. The three materials commonly used are cast-in-place concrete, concrete blocks and preserved wood. Precast concrete or steel foundations may also be used. Wall thickness of concrete and concrete block walls may vary from 6 to 12 in. (150 to 300 mm) depending upon their depth below grade and the lateral support provided by the floor-framing system. Table 1 shows minimum foundation wall thickness for solid concrete and concrete masonry units in stable soils. Where unstable soils are encountered, construction of foundation walls should follow proven local practices or be specifically designed by an engineer. Crushed stone or a coarse granular mat is used around the perimeter and under the basement slab for drainage, and for radon mitigation should it be discovered to be a problem. It is advantageous to spread the layer of stone around the footings in advance to provide a clean, dry surface on which to work. Formwork for concrete walls must be tight, well-braced and tied to withstand the pressure of the concrete. Reusable forms are made of plywood or steel, and use steel form ties to hold the two sides of the formwork together (Fig. 12). The ties are usually broken off to remove the forms when the concrete has set. If these forms are not available, the formwork may be made with lumber (tongue-and-groove or shiplap) or plywood, together with the necessary framing members. They can be built in sections and then erected. Combination steel form ties and separators are generally used to hold the forms together and to maintain the necessary width. Where wire ties are used, wood spacer blocks, whose length equals the finished thickness of the wall, are placed between the faces of the form. Where wood spacer blocks are used, they must be removed and not left in the concrete. Wire ties hold the forms rigidly against the spacer blocks. Chalklines, pour strips or nails may be used on wood forms to show the elevation at which the concrete will be placed. eliminate the need for form stripping and in some situations provide real advantages. Frames for basement windows, doors and other openings, along with the boxes that will form notches for the ends of floor beams, are set into place when the formwork is built. Framing and bracing are used to keep the forms vertical and in place until the concrete has set (Fig. 13). It is important to check the diagonals of the frames to ensure that the frames are square. 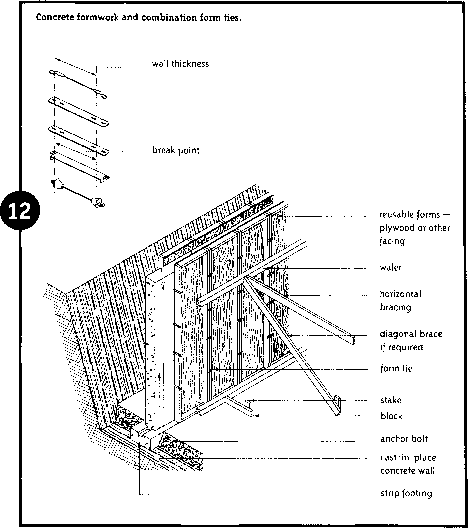 Concrete frames and braces: (A) window installed in cast-in-place concrete wall; (B) framing/bracing around door frame. Notches or beam pockets in foundation walls. Note: Separate wood beams installed less than 6" (150 mm) above grade from concrete with dampproofing material such as 2 mil (0.05 mm) polyethylene. o circulation (Fig. 14). These air circulation requirements do not apply to steel beams. Where a masonry chimney is to be incorporated in the outside walls, provision should be made for it at this stage. Forms should not be removed until the concrete has acquired sufficient strength to support loads imposed during early construction. At least two days are required, but a week is preferable, particularly in cold weather. After the forms have been removed, all holes and recesses from the form ties must be sealed with cement mortar or dampproofing material. Concrete should be placed continuously without interruption. During the placing operation, it should be tamped or vibrated to remove air pockets and to work the material under window frames and other blocking. Anchor bolts for sill plates should be placed while the concrete is in an unhardened condition. Anchorage is commonly accomplished by 1/2 in. (12.7 mm) thick anchor bolts spaced not more than 8 ft. (2.4 m) apart (Fig. 15). Anchor bolts should be embedded at least 4 in. (100 mm) into the foundation wall. The end of the anchor bolt embedded in the concrete should be deformed or bent to provide good secure anchoring. Also ensure that the bolts are free from oil and that the concrete has cured to minimize withdrawal of the bolt. 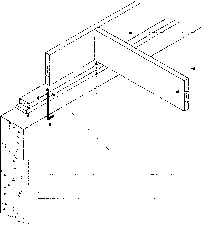 Method of anchoring floor system to concrete walls, showing anchor bolt for wood sill. Different combinations of slab/footing and slab/wall isolation joints may be used together, as desired. sheathing membrane polyethylene sheet premoulded joint filler i" (25 mm) sand cushion wall or column perimeter joint between floor slab and wall column. For details of various types, see sketches below. Control joint in basement wall. Note: The combined thickness of inner and outer strips should equal approximately one fifth of the wall thickness. 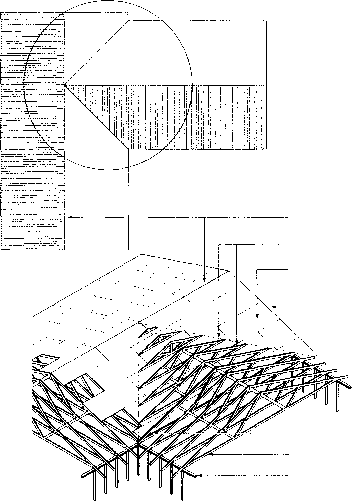 This example Is for an 8" (200 mm) thick foundation wall. avoided, or controlled, steel reinforcing rods or properly located and formed vertical control joints should be used (Figs. 16 and 17). Wall crack control joints are formed by nailing strips of wood about 3/4 in. (20 mm) thick, beveled from 3/4 to 1/2 in. (20 to 12 mm) in width, to the inside of both interior and exterior wall forms. The purpose of these is to make grooves in the wall that will predetermine the location of shrinkage cracks. Control joints are necessary in walls longer than 82 ft. (25 m). Shorter walls are also susceptible to cracking. Control joints in these walls are also recommended. Control joints should be located first at the natural planes of weakness, such as windows and doors, and then within 10 ft. (3 m) from the corners, and 20 ft. (6 m) apart. The sides of windows or door openings, if present, should be chosen as joint locations. After removal of the wall forms, the groove in the exterior face of the wall should be carefully caulked with a good-quality joint sealer (Fig. 17). The dampproofing material, applied after the caulking operation, should be compatible with the caulking material used. 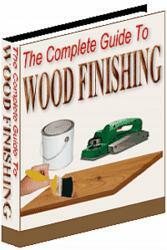 A supplier should be contacted for advice regarding the compatibility of caulking materials. Concrete blocks are available in various sizes and shapes, but the most widely used come in modular sizes 8 in. (200 mm) high, 16 in. 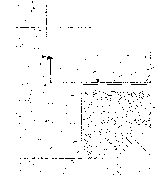 (400 mm) long, and 6, 8, 10 or 12 in. (150, 200, 250 or 300 mm) wide. The actual size is 3/8 in. (10 mm) less than the modular size to allow for the mortar joint. Block courses (rows) start at the footings and are laid up with 3/8 to 1/2 in. (10 to 12 mm) mortar joints. No joint should exceed 3/4 in. (20 mm). All joints should be tooled smooth to resist water seepage. Full bed and head joints should be used in the bottom course. Succeeding courses may be laid with mortar applied to the contact surfaces of the block. Pilasters are column-like projections that normally protrude into the basement space. They are sometimes required by building codes to strengthen a wall or support a beam. Ensure that they are placed at a height where they can properly support beams if necessary. In these situations, they will often need to be at a height lower than the top of the foundation. Special concrete blocks, such as universal, pier or sash blocks, should be used to frame the sides of openings for basement doors and windows. 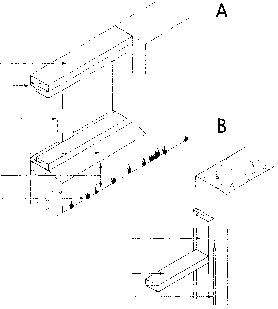 For example, sash blocks (Fig. 18) have a keyed face or recess into which the frames are connected, thus providing rigidity and preventing air infiltration. Proper sill and lintel details should also be used to achieve the same effect. Block walls should be capped either with 2 In. (50 mm) of solid masonry or concrete, or with a mortar filling in the top course of blocks. Alternatively, where termites are not a problem, a wood plank 2 in. (38 mm) thick and the same width as the wall may be used. At grade, another separation should be introduced to prevent convection currents in the cores of hollow masonry walls. 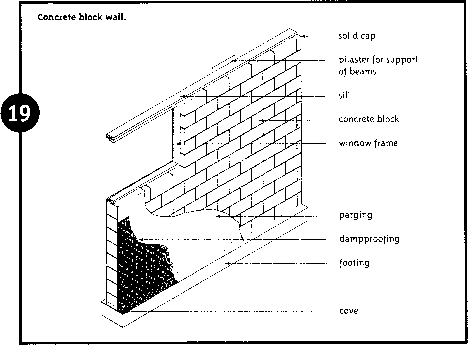 This separation can be achieved with a strip of polyethylene between the top two courses, by filling the top course with mortar, or by using a solid masonry unit. Concrete blocks for foundation construction. 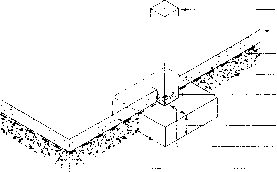 Beam or lintel overlap the foundation wall by at least 1/2 in. (12 mm) so that the rainwater cannot reach the top of the foundation. Pilasters supporting beams should be capped with 8 in. (200 mm) of solid masonry. Freshly-laid block walls should be protected from below-freezing temperatures. Freezing of the mortar before it is set will result in low adhesion, low strength and joint failures. Mortar mix proportions should conform to those shown in Table 5. Concrete-block walls should be parged on the outside with at least 1/4 in. (6 mm) of Portland cement plaster. 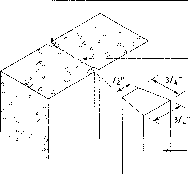 A cove should be formed on the outside perimeter joint between the footings and the wall (Fig. 19). The wall should then be dampproofed by applying at least one heavy coat of bituminous material over the parging up to the proposed ground level. For added protection where quantities of water accumulate in the soil, two layers of bitumen-saturated membrane may be mopped on and coated overall with a heavy coating of bituminous material. This covering will prevent leaks if minor cracks develop in the blocks or joints between the blocks. the width of the air space; and the thickness of masonry veneer, such as brick or stone. How to determine depth of column footing? How far apart wood joint home foundation? How to anchor floor joits to founation plate? What should be the thickness of column footings for houses? When to cast concrete window stool? What is usuall size of footing for house?